FRiday Oct. 16th 2009 marks the anniversary of the removal of term limits. 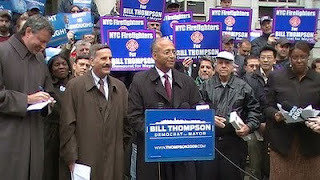 This video is from the www.Thompson2009.com website. 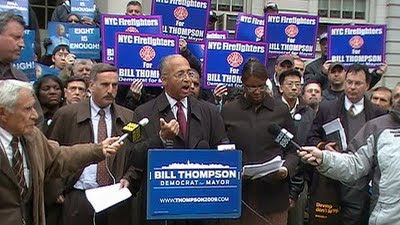 It was an honor to stand with the democratic Mayoral Candidate Bill Thompson today at his rally to mark the anniversary of the day Michael Bloomberg hijacked democracy from the people of New York. Fire fighters and council members, residents and business owners stood strong in the frigid weather today chanting "RESPECT TERM LIMITS" and "EIGHT IS ENOUGH".